Can "Hurt Locker" recover in time for the Oscars? 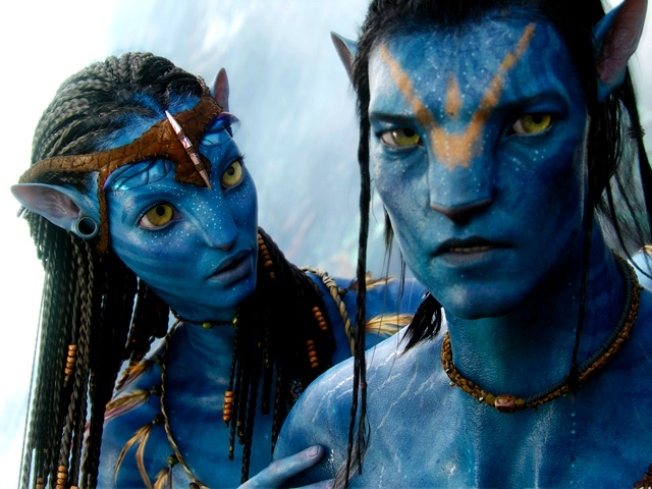 "Avatar" was clearly the big winner of the night, taking home Best Picture and Best Director for James Cameron. What will this mean come March 7, when the Oscars are dished out? For some reason, the accepted wisdom is that the Golden Globes are a reliable Oscars bellwether. And yet, only once in the previous five years have the two august bodies agreed on the best picture: last year's "Slumdog Millionaire." "The Hurt Locker" has dominated this awards season, racking up numerous Best Picture nods, as well being named among the Top Ten of the Decade by the Associated Press. The competition is far from over. The big loser of the night would have to be "Up in the Air," which had six nominations in five categories, yet won only one award, Best Screenplay for Jason Reitman and Sheldon Turner. "Up in the Air" would seem to have zero chance in the Best Picture or Director Oscar races. Clooney has to be a long-shot for Best Actor. And, as good as Vera Farmiga and Anna Kendrick were (and they were both excellent, especially Kendrick), they are apt to split the vote and cannibalize each other's chances, leaving the field open to Mo'nique to win again. On the TV front, "Dexter" was the sole multiple winner, picking up Best Actor and Best Supporting Actor, hardly a dominant showing. A third consecutive win for "Mad Men" in the Best Dramatic Series category merely maintained the status quo. The biggest surprise of the night had to be the Best Comedy/Musical win for "Glee," which leaves one wondering if maybe the Hollywood Foreign Press Association was confused by their own rules and voted for it because it was the only nominee that is both a Comedy and a Musical. Who knows? To be fair, it's a great show, and its getting picked up earlier this week for a second season was welcome news. Although "30 Rock" remains the gold standard of TV sitcoms, it is too insider-y and New York centric, which kills it not only with the HFPA, but with viewers. NBC is to be praised for two things with regards to this evening's broadcast: 1) the return of Ricky Gervais as host and 2) keeping the thing moving without stepping on any toes. Gervais is the perfect host for such an event. He's far above the nauseatingly self-congratulatory nonsense that can makes these things tough to watch, and he's self-deprecating enough to not come off as overly mean when he does stuff like make fun of Mel Gibson's drinking or the integrity of the HFPA. As the show was drawing to a close, Gervais said they had about eight seconds left -- a quick peek at the clock suggested it was actually 26 seconds. Either way, keeping this thing on schedule was a minor miracle. The tone of the speeches ran the gamut from "weepy/I can't believe" to "We're so lucky not to be in Haiti" to "Give yourselves a round of applause" to "Woo-hoo! I won!" The tragedy in Haiti, though ever present, did not set the tone for the evening. There were ribbons and shout-outs for Clooney's fund-raising efforts and the like, but things never got maudlin.